ST. PETERSBURG, Fla. — Duke Energy crews and contractors are working throughout the holiday weekend and overnight hours restoring power to Florida customers and responding to 911 assistance calls in the aftermath of Hurricane Hermine. Their efforts resulted in the restoration of more than 220,000 customers within 48 hours. Although many will be restored earlier, the goal is to have all customers impacted by the storm, who can receive power, restored before midnight tonight. As of 2 p.m., approximately 5,300 customers were without electricity. More than 99 percent of all Duke Energy customers in Florida have power. 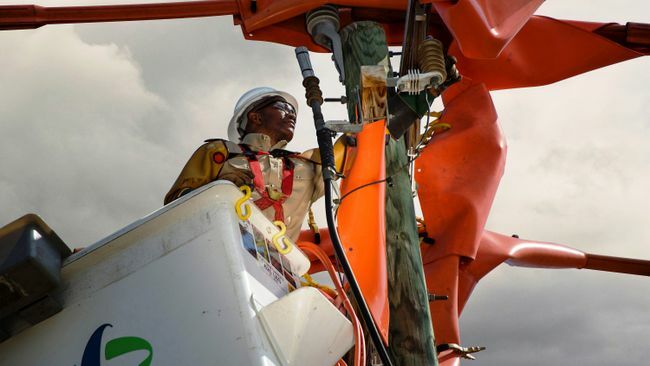 The company will continue to work until all isolated outages are restored. In flooded areas of Pinellas and Pasco counties, Duke Energy de-energized approximately 250 customers to ensure their safety. Service will be restored when county officials deem it safe to do so. Customers are encouraged to visit the online outage map at www.duke-energy.com/outagemap or call the Customer Care Center at 800.700.8744 for individual restoration times. If a customer’s electric service is still out, check with neighbors to see if they have power. If they do, you may have only a blown fuse or tripped a circuit. If the fuse blows or circuit breaker trips again after being reset, you may need assistance from a licensed electrician. Customers who have had damage to electrical equipment on their property may also need an electrician’s assistance.